Yesterday (Friday) I didn’t have the chance to blog anything because we were asleep for almost 38 hours. First of all i want to thank Sandro Mathys & Marcus Moeller for giving their 200% to organize and make real this FUDCon. Thank you guys, you did a really great job! We arrived in Zurich in Friday at 6:20am and after dropping our bags in the Hotel and having a breakfast, we headed to FUDCon / FrOSCamp venue. The first day in FUDCon was really awesome. I had the chance to meet again beloved friends (WE LOVE PERV Nicu and Andrian), our new Fedora Project Leader (thank you Jared) and many more cool guys I didn’t have the chance to meet before. After Jared’s warm welcome and some chatting regarding FUDCon in other regions, I had the chance to participate in Tom’s (spot) Callaway workshop. Tom taught us how to create our fist package! Yes, I had the chance to create my first package which actually respects all the guidelines! Thank you very much Tom. Then it was time to participate in a wonderful brainstorm talk regarding Campus Ambassadors Program in Bert’s Desmet workshop. Actually we had a long chat trying to define if the Campus Ambassador was better to be a Special Interest Group than a team inside Ambassadors program. Finally we decided to bring it up in the mailing list (for one more time), with better ideas and a lot of proposals. Later on was Jaroslav’s Reznik turn to present us Fedora’s Management and Configuration Interface in the talk room. Then it was time for Jesse Keating and Release Engineering SOPs. Jesse present us some Standard Operating Procedures we have in Fedora and show us some really easy steps on how to help. I found his workshop really interesting and I decided to help them out with their tasks. Finally I am really happy for being in Mairin’s Duffy talk regarding Inkscape and Gimp. I have to admit that from now I on, I am not willing to miss Mairin’s future talks. Her presentation was really awesome, perfect structured, with live demos and a lot of QA. Eventually GIMP and Inkscape is not that hard to use. Alright, it is now time to have some fun in Wired Party with a lot of free beer, tablet soccer and good music! it was really awesome except our table soccer defeats. 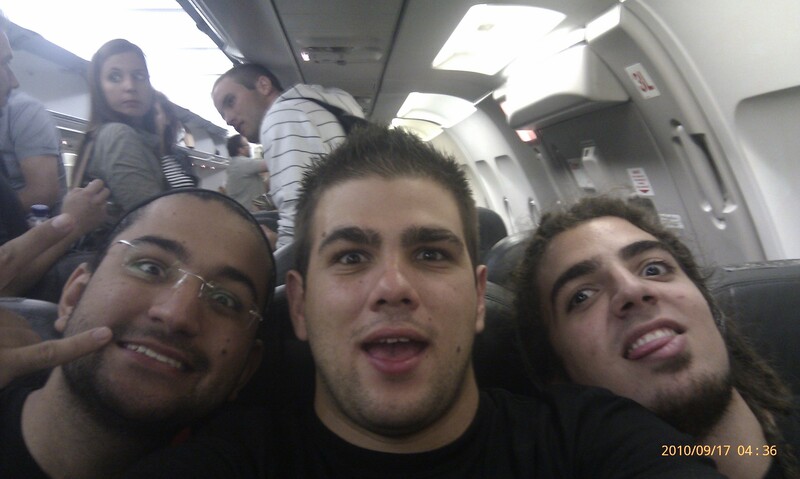 Unfortunately we (me, Pierros, Vangelis) were too tired to fun enough and we headed back to the hotel to get some rest. You can check some photos in my picasa album. Next Post Nicu got PWNED!!! !